As a romance author, I’ve written quite a few short stories and read even more. I’ve read short stories by industry authors as well as the “classics” by Edgar Allen Poe, O. Henry, Richard Matheson and Stephen King. In addition, I’ve read anthologies of short stories. As an author, I feel that I am in a constant state of learning and try my best to expose myself to a variety of writing and writers. There was one thing I noticed about the good short stories: they didn’t explain me to death. Nothing bothers me more than a short story that tries to tell me every detail of each character’s back story in the first three paragraphs. It bores me. It bogs me down. Ditto to the over-explanations after each character does something. “She brushed her hair, something that she had done for years and her mother had done before she perished in a terrible auto accident seven years ago with her father on a rainy day.” Too much information at once. A fellow author of mine asked me how I wrote a short story. Given that I’m no great writing genius—believe me, a woman knows her limitations—I gave them the best advice I could: start in medias res and weave in your back story from there. Notice I said “weave” in your back story” I didn’t say “plop” it on the table in front of the reader like an half-baked cake. I give my readers all the credit in the world. I don’t try to tell them every single detail about the character from kindergarten on up. In a short story, I try to give you just enough for you to understand the character in the situation at that moment in time. Think of the short story as a snapshot from a picnic. The children are playing in the background, two women are chatting at a table while a man hands a plate to teenage girl with a sad face. If it is the teen’s story, I don’t need to write you a history of what happened to her in third grade when she lost the science contest, do I? It’s not germane to the story of the teen girl. But I do have to tell you that in fifth grade, there was a girl who bullied her mercilessly and the teen has just found out that this same girl will be in her ninth grade class when school starts in September. Do I need to tell you the bully girl’s history? I don’t think so, because the story is about the teen girl in the picture at a summer picnic. She is the main character. Short stories are difficult to write. It seems that there is always more to tell of a character’s life, right? Well, there is. It’s simply not going to be told in that particular story and perhaps you’ll have to fill that in for yourself. What are your thoughts on the short story? Are they fun to read? Are they fun to write? Leave your opinion in the comments. Please welcome my author-friend Angelina Rain with a special message. The holiday season is upon us and it truly is the season of giving. get an entertaining romance and to give back to a very important cause. What are readers saying about Rescued Love? One by one, household dogs disappear only to come back after senseless abuse. whose heart she once broke. his brain and his days are numbered. Yet, he couldn’t resist Jordan. the doctor, who made a life out of helping animals, heal a human? A big thank you to those who stuck with me through my kind of blogging marathon. I didn’t make all my days as planned, but I’m pretty pleased what I did accomplish. Blogtoberfest was a huge help in getting my blogging off the ground, planning posts ahead of time and most of all, sticking to a schedule. Now, I feel I can roll into NaNoWriMo with some purpose and determination. How did I do it? I pre-wrote a lot of the posts. Then, I decided, for it to be a true Blogtoberfest, I should make an effort to blog every day. At times, real life intruded, but to be honest, if I am going to be a writer….this IS part of my real life. Treating writing as a job rather than something I merely dabbled in, I learned, is the key to making it work for me. Your mileage may vary. Anyhoo, Happy Halloween – I’m writing this on the Monday before, because I have no idea what the situation will be on Wednesday. Again, thank you to all who commented, stopped by and clicked! Yes. It’s a Stephen King story. No, it’s not one of the ones that have been made into a movie. However, I will tell you right now, even thinking of the story…it is one that I’ve read twice and not one that I will come back to any time soon. It’s a story about a shipwreck, just like Cast Away, but King grabs your hand and forces you down a path to make you closely examine the situation: You are stranded on a desert island with little hope of rescue…and little food. How far will you go to survive? You’ll see what one man’s desperation will lead him to. Oh, and look at the creepy cover with the monkey with the symbols. (Shivers). That story, ugh. I can’t even. Skeleton Crew also contains “The Mist”, “The Raft” (another ordinary day gone terribly wrong), the aforementioned “Survivor Type”, and “The Monkey”. These older King stories are excellent for a howling night next to the fire. Just check the locks before you go to bed and put that stuffed monkey with the clanging cymbals in the garage. This is a movie that scared the mess out of me when I was a teenager. First of all, I am no fan of ventriloquist dummies. I can’t stand them, they scare the heck out of me. Give me a movie with a dummy and you’ve got me scared. 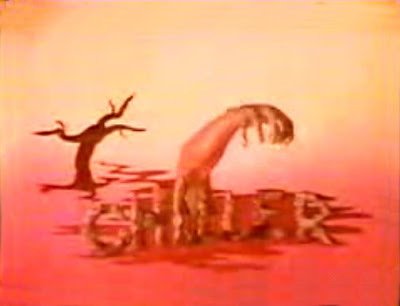 A looooooong time ago, back in 1978, there was this movie trailer that ran on television. Mind you, this was back in the fun 70s where the cars waiting in line for gas would queue in front of my parents’ house. This trailer wasn’t anything NEAR Silent Hill 3d (which by the way also frightens me with its grotesqueness) but was creepy just in the fact that it featured a dummy. According to Wikipedia (that bastion of totally true facts) : “The trailer for this film was pulled from TV due to calls from parents who claimed that it gave their children nightmares.” Oh, most certainly. This was Anthony Hopkins before he was Hannibal Lector, a failed magician who is basically going off the deep end. Yikes! The movie is on YouTube if you want to watch it. Warning, it’s 70s cheesy, but the story itself is disturbing.